Hi! I'm Katie from Pearls & Twirls and am so happy to be guest posting for Jessica while she's off enjoying her honeymoon! Today I'm sharing a few of my favorite spring pieces. 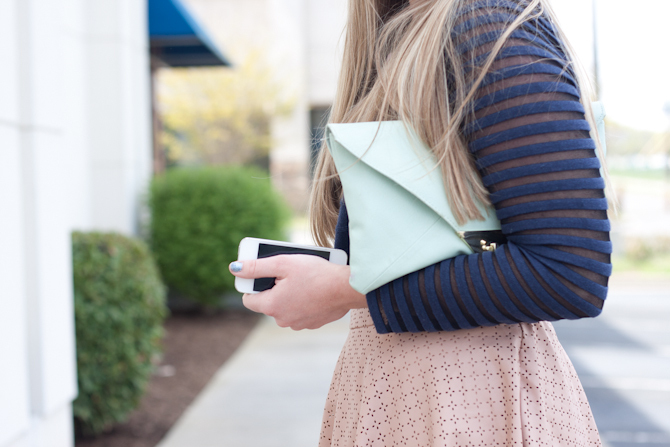 I always love a good classic color combo and really love the combo of blush and navy for spring. I actually lived in this Nic + Zoe top all winter and couldn't wait to pair it with some of my lighter colored pieces to remix it for spring and this perforated blush faux leather skirt was just the perfect piece. Love the color combo! That top is killer. this look is gorgeous!! love that pink skirt. Such a chic look! I am loving this top with the sheer stripes on the side! That blush skirt is perfect, I love the texture! Cute look! 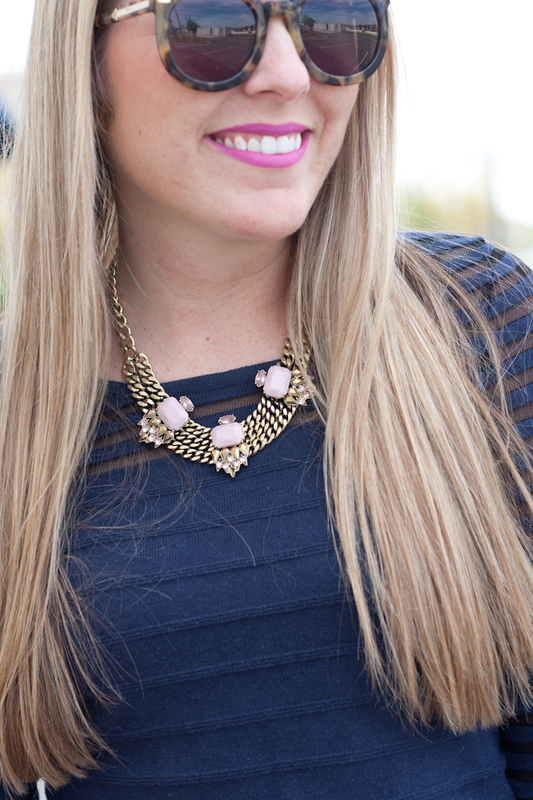 Love the navy and blush combo, along with the different textures! Gorgeous combo! 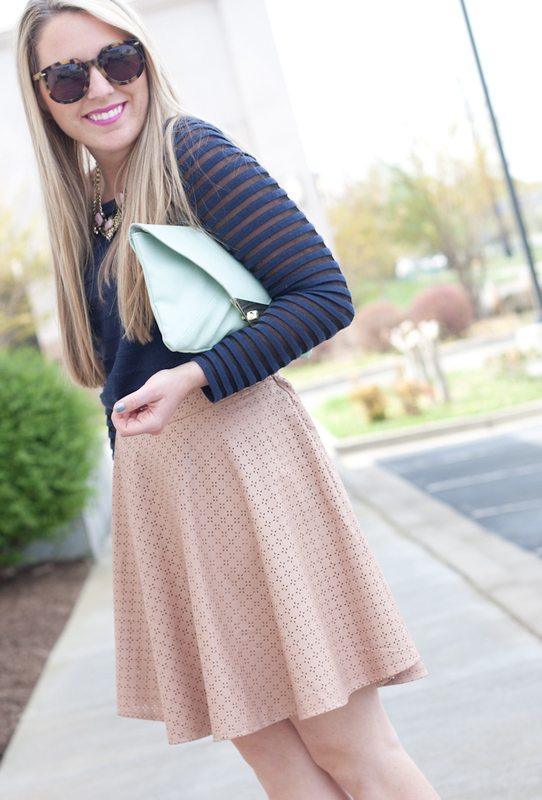 Loving the blush skirt!